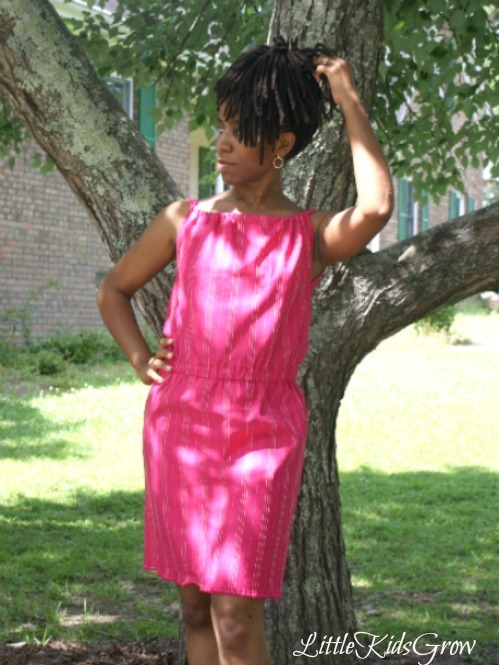 Our tutorials and links to other tutorials for simple dresses and shorts. 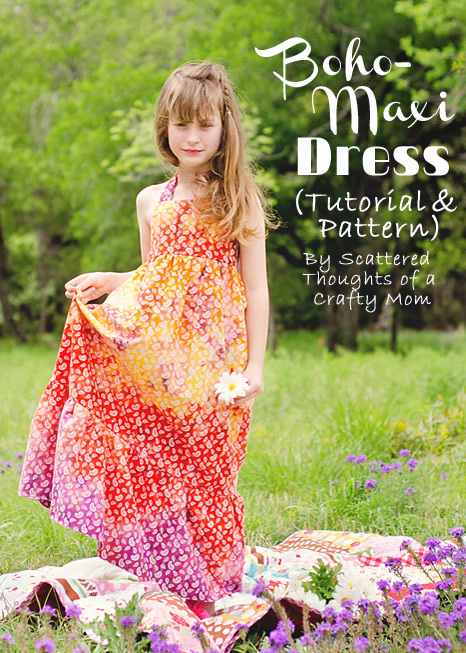 One of our frequently asked questions is, what pattern do you use for dresses? The simple answer is we use a lot of different patterns. 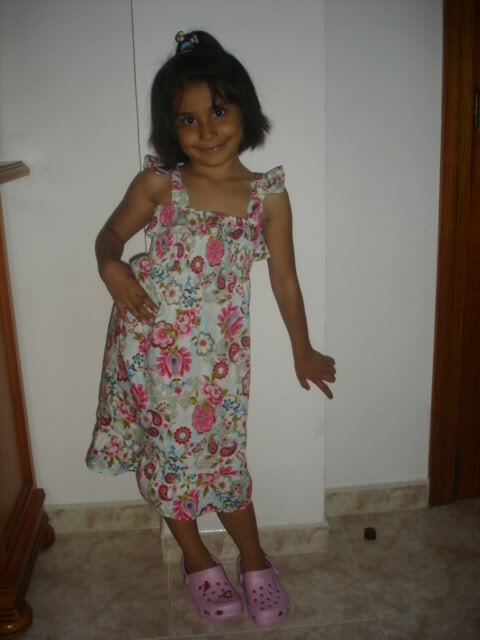 My mom, who is a seamstress extraordinaire makes some super pretty dresses using patterns that I won’t touch. 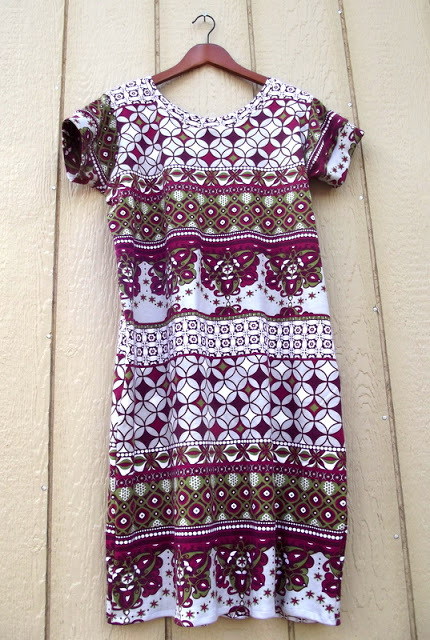 I this #5531 may be discontinued because I can only find it for sale on etsy, but I did find a similar one that you could try. Let me know if you give #6478 a try. I haven’t used it, but it looks very close to the one I do use. 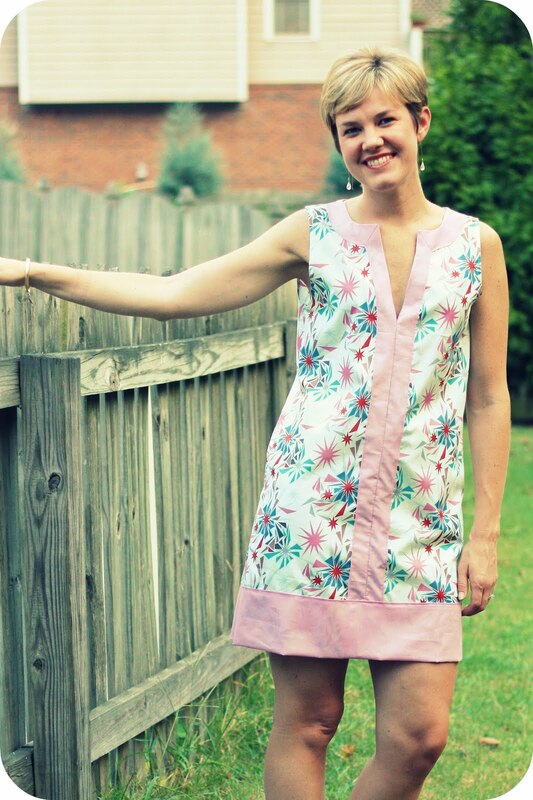 For larger sizes I usually use the Butterick pattern below. 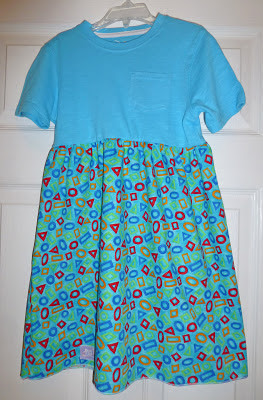 Depending on the fabric, sometimes I add a little trim to this pattern because it can look very plain. 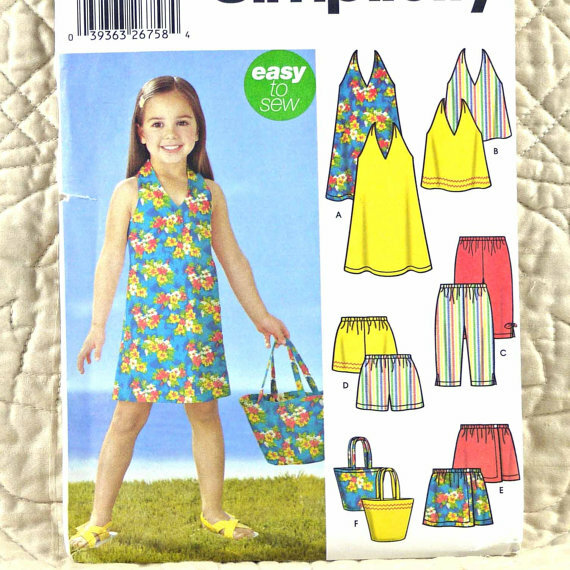 We also accept dresses made from the pillowcase dress pattern. The following is a good tutorial. 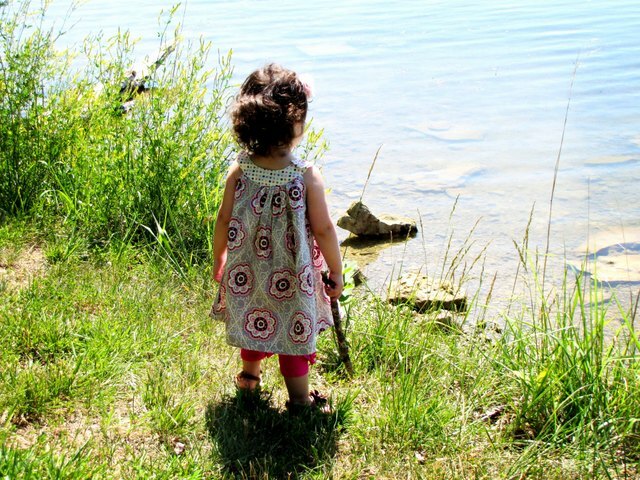 We use the above patterns regularly, but will accept any sundress pattern you choose to use. 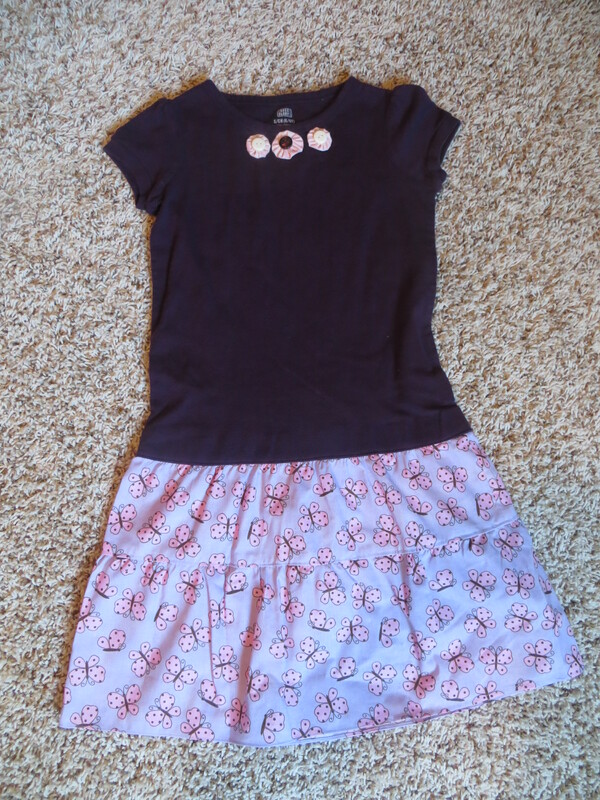 It’s fun to have a variety of sizes and styles to ship. I rarely wear a dress. In fact, the day I wore a pretty little purple dress to church earlier this spring 5 people made a special effort to mention how surprised they were to see me in one. 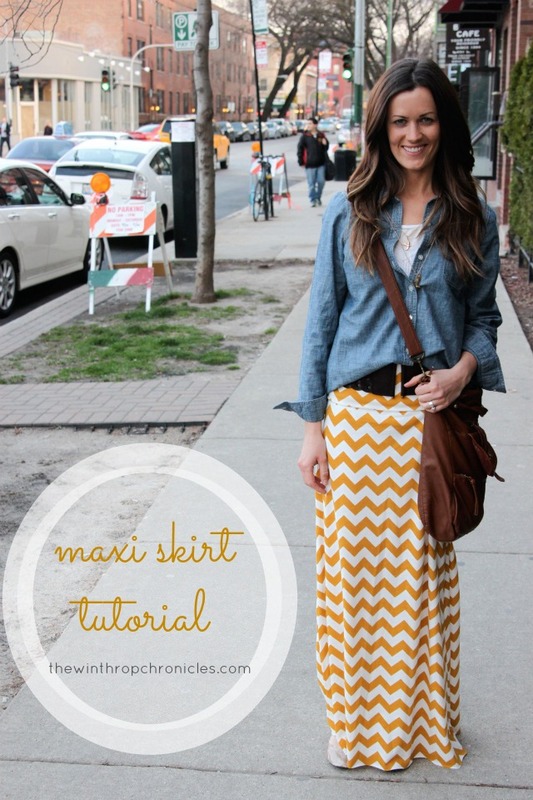 I do love the look of maxi skirts though, and I’m contemplating making an attempt at sewing the one I linked below. Or maybe I’ll just be lazy and ask my mom to make me one. Yeah, that’s probably what I’ll do. 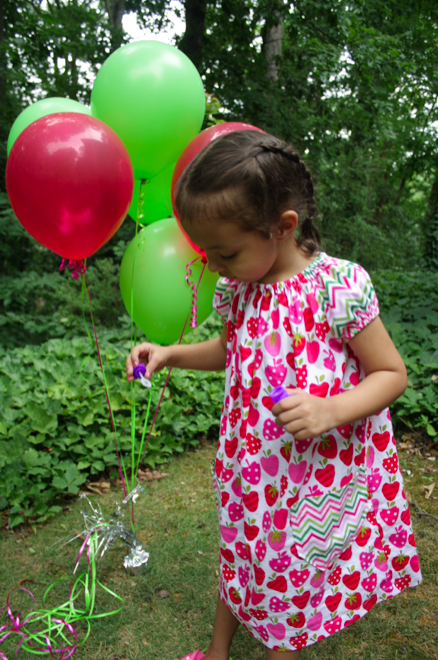 Maybe you will want to try making one of these for yourself. 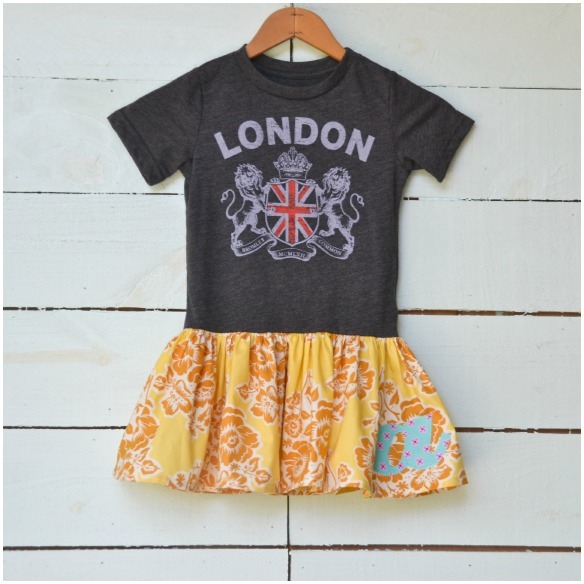 Or you could make one to ship to Haiti or Uganda. 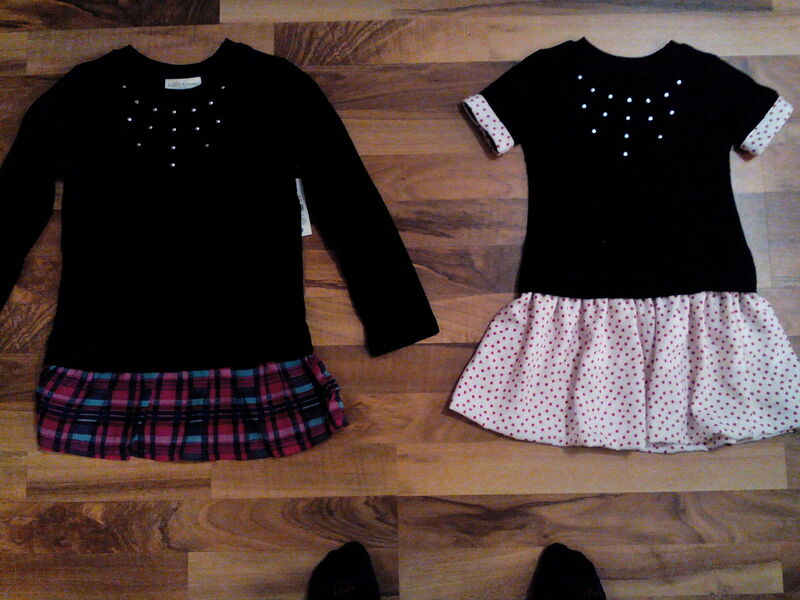 We get a lot of little girl dresses, but not nearly as many that will fit a teenager. 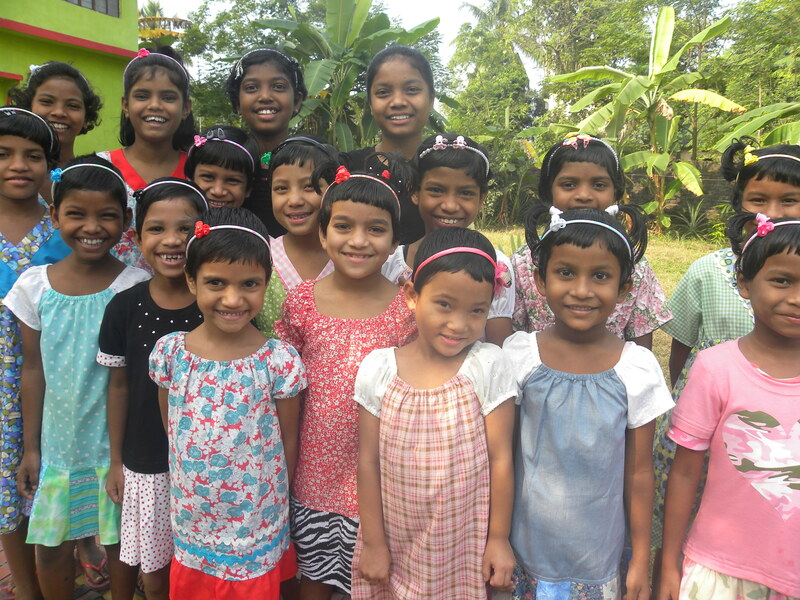 We’ll happily accept your larger dress donations. 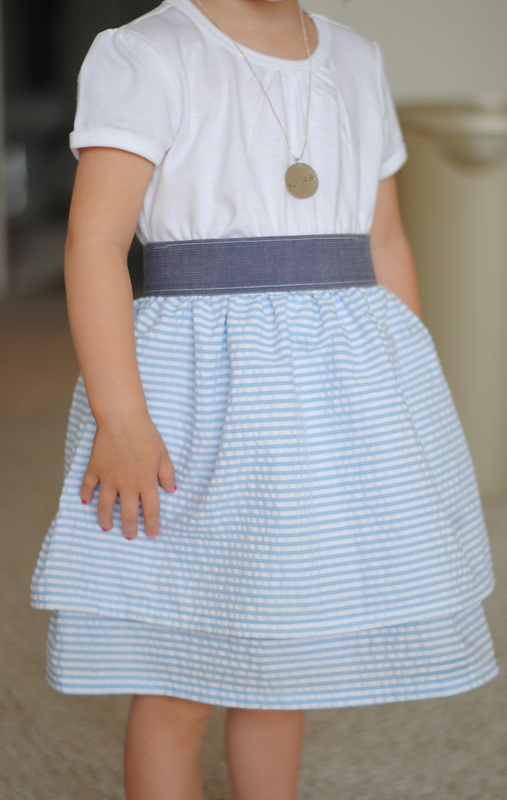 I’m pretty sure your little girl would look adorable in any one of the five dresses I’ve linked to. Or, if you were blessed with 3 handsome boys and 0 girls like me, I’m positive we could find a little girl in Haiti or Uganda who would look beautiful in one. 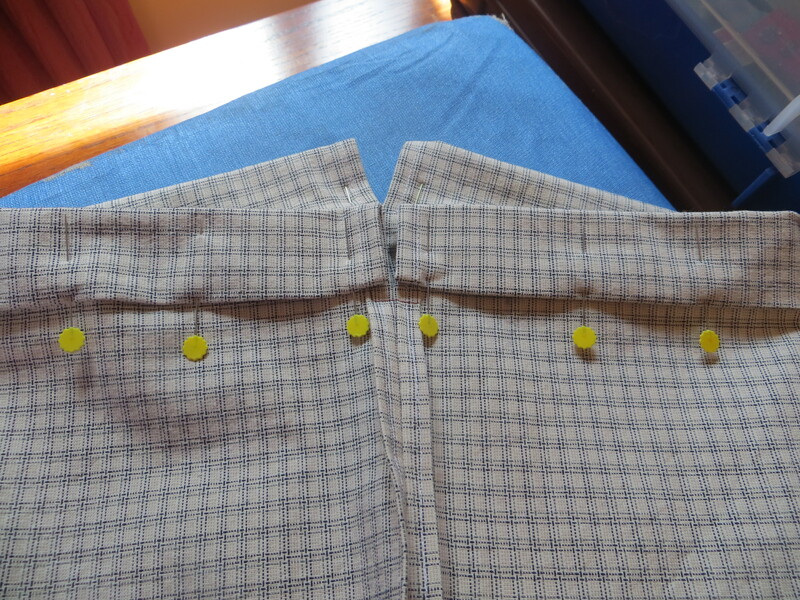 Some look a little more challenging than others, but there are no zippers or any other crazy things involved like buttons and collars, so I think they are all doable for a mediocre seamstress. 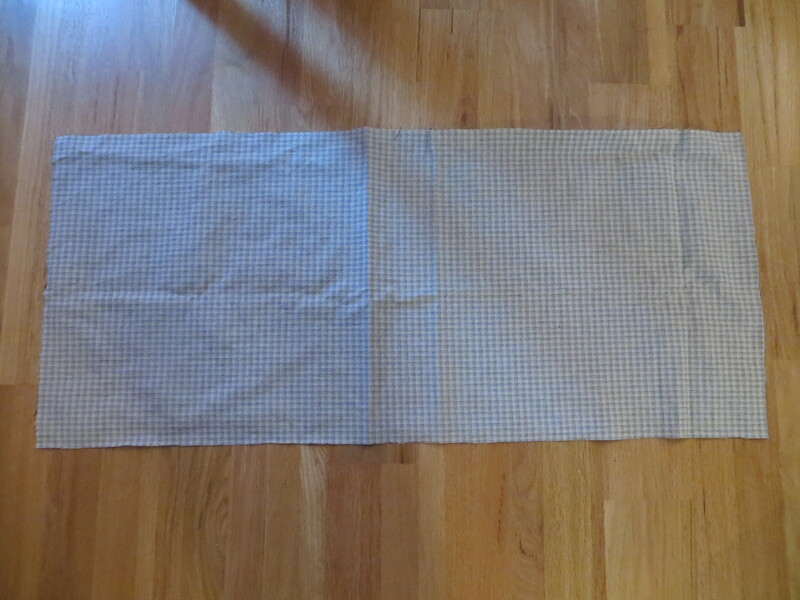 Cut a piece of fabric 36 inch x 16 inch. A medium weight fabric is best. Too light and it may rip. Too heavy and it will be difficult to cinch shut. Now you are ready to make the casing which will eventually hold the drawstring. 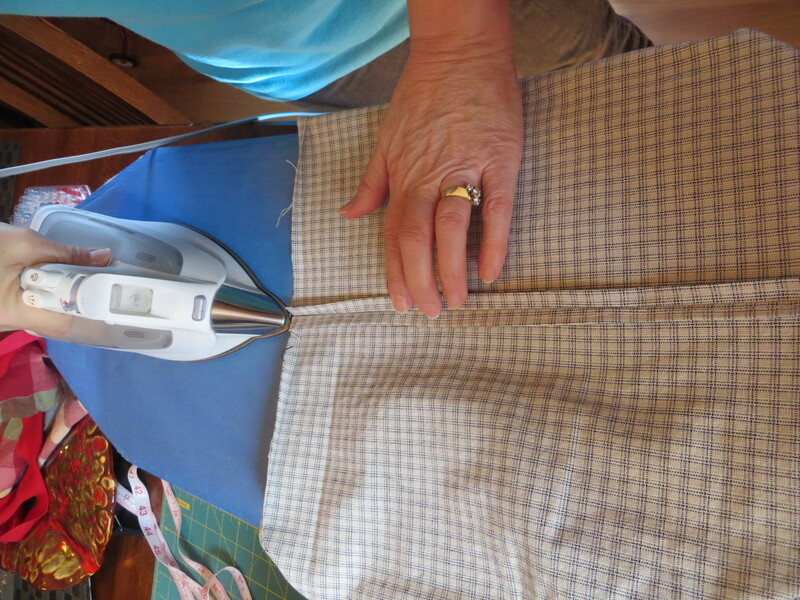 Fold and press the shorter sides under ¼ of an inch (the sides that still have a raw edge), and then fold and press again 1 ½ inches to form the casing. But don’t sew it yet. 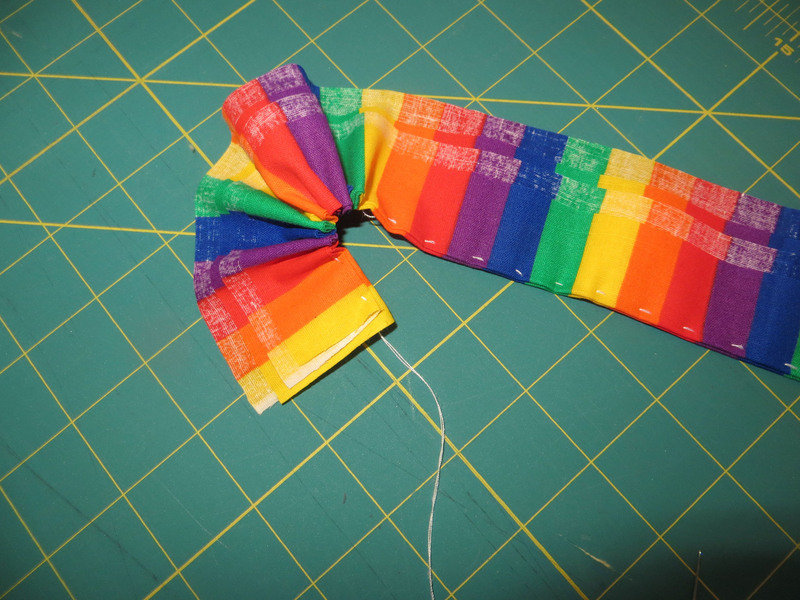 Unfold what you just ironed (you will be able to see the creases), and then fold the piece in half matching raw edges. 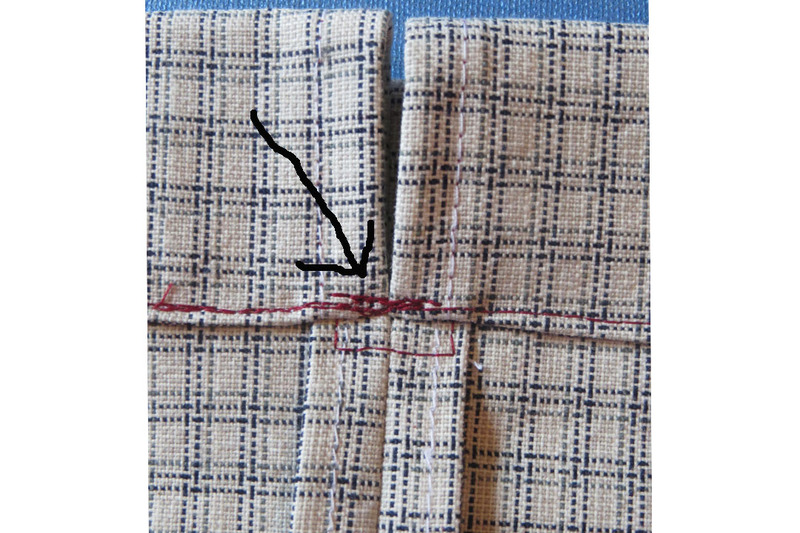 Sew top 3 ½ inches (on both sides) in place as shown in photo. 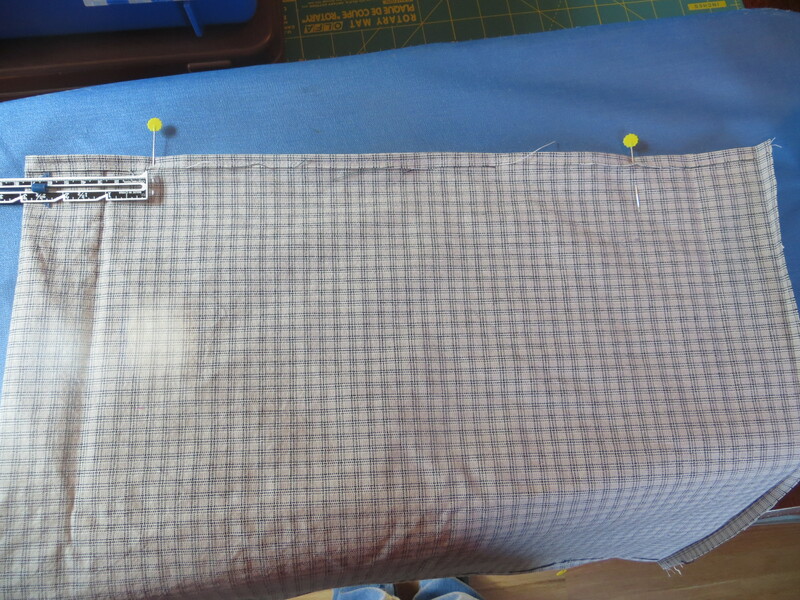 Pin the casing down where it was pressed earlier and sew both sides close to the folded edge. You will end up with a casing that is open on each side of the bag. 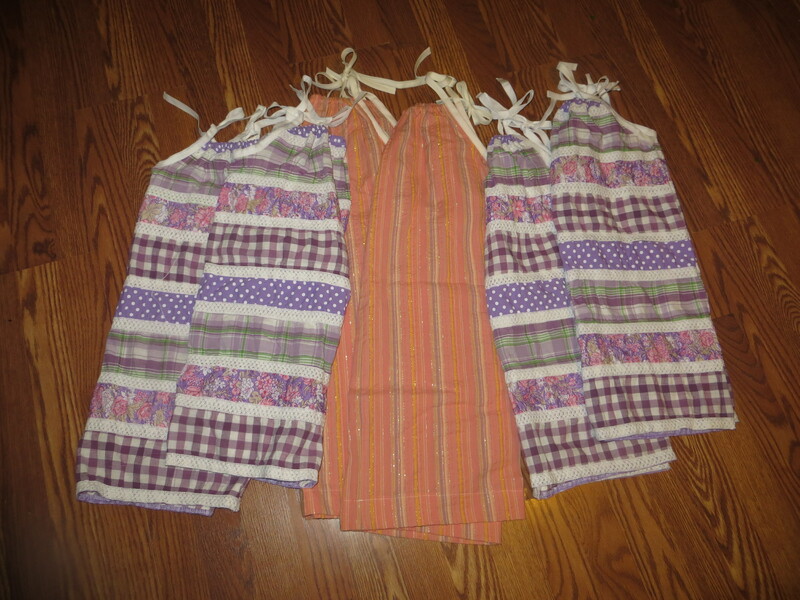 Cut a light to medium weight knit or an athletic-type fabric 60 inches long and 2 inches wide. 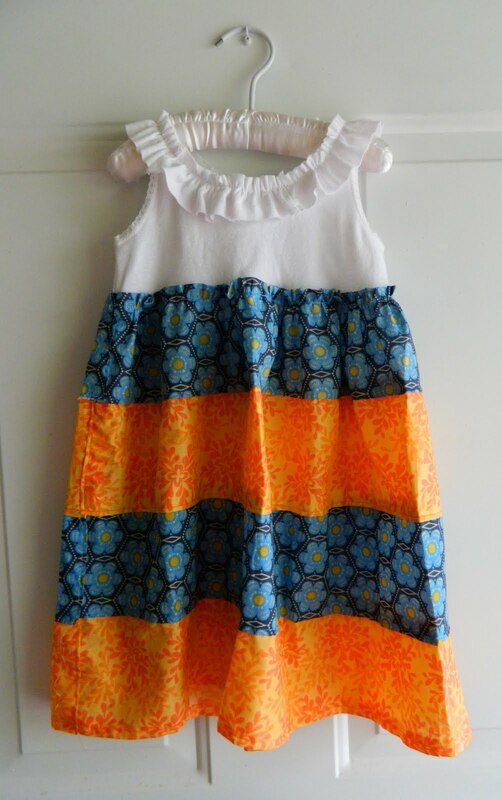 (You can also use a cotton fabric, but you would need to finish the edges. 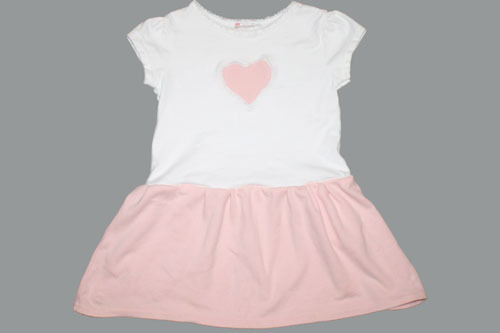 The knit and athletic fabric does not fray, so you do not need to finish the edges.) 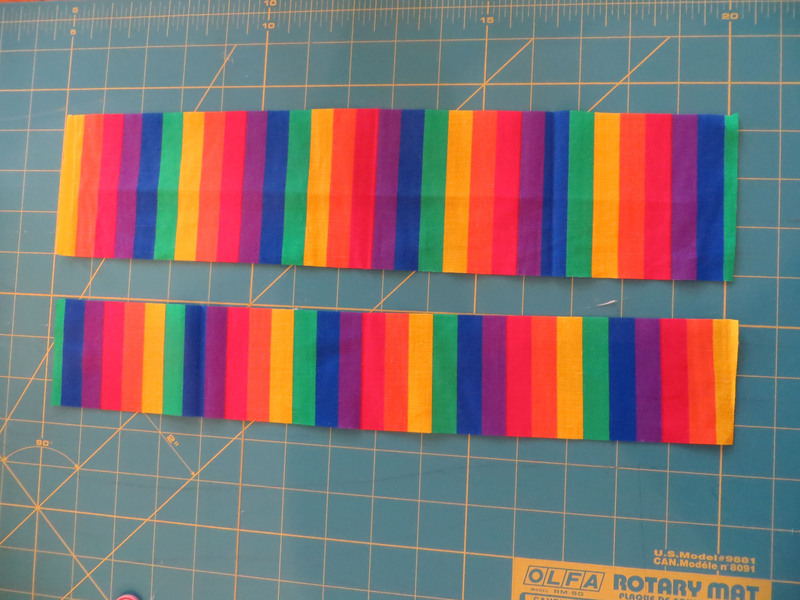 Purchased cording is another alternative for the straps. Pin safety pin to one end of each strap. Pull strap through both casings forming a circle. Do the same with the second strap, but start on the opposite end. This will give you your drawstring. 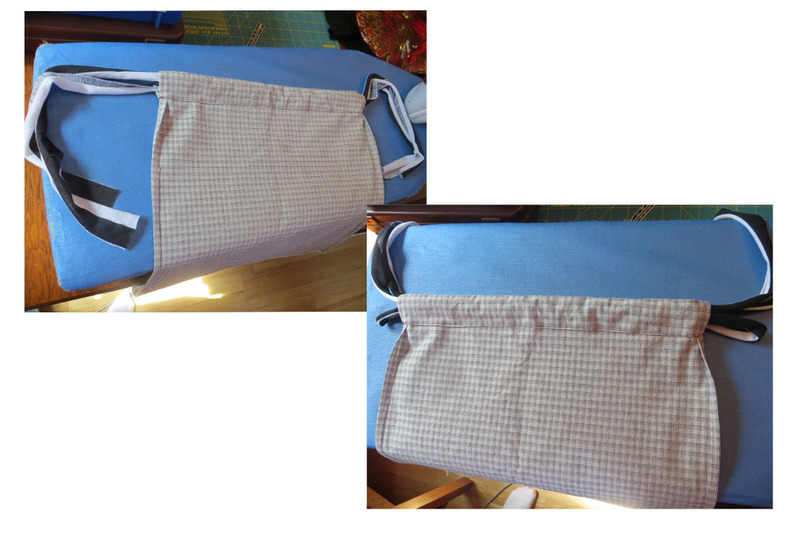 Fold ends of straps in half, and lay one on top of the other. 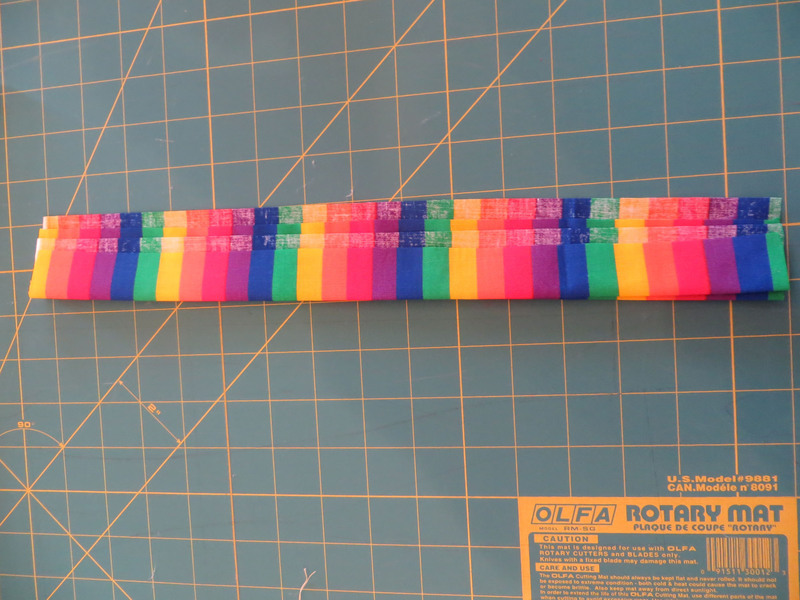 Stick the two ends an inch into the top of opening on the bottom of the bag. Pin in place. Do the same on the other side. Turn wrong side out again. 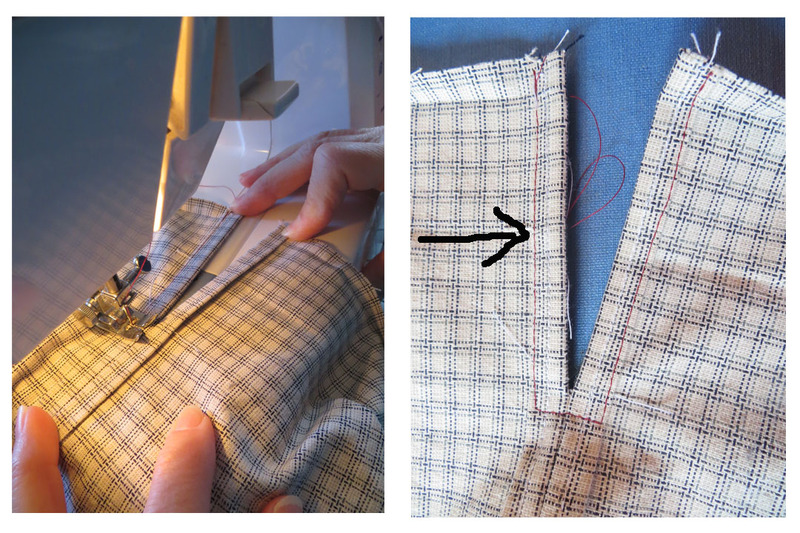 Take pin out of right side and pin it on the wrong side, and sew in place and finish the side seam to the bottom of the bag. It’s a good idea to reinforce the stitching going across the strap section. 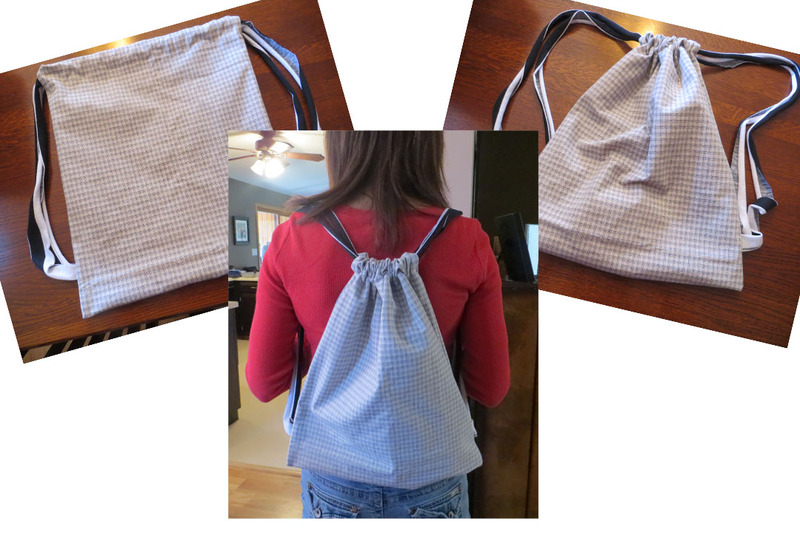 Turn it right side out and you have a finished cinch bag. 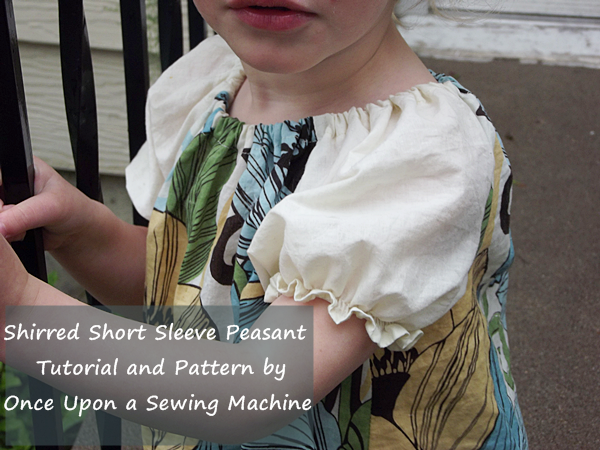 I found a detailed pillowcase dress tutorial at Sew Like My Mom. 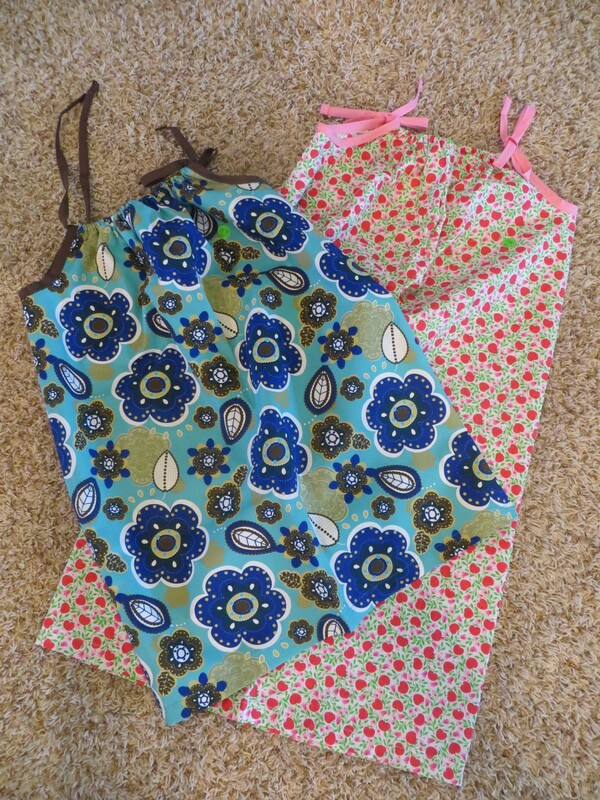 Several people have made these dresses and sent them to me. 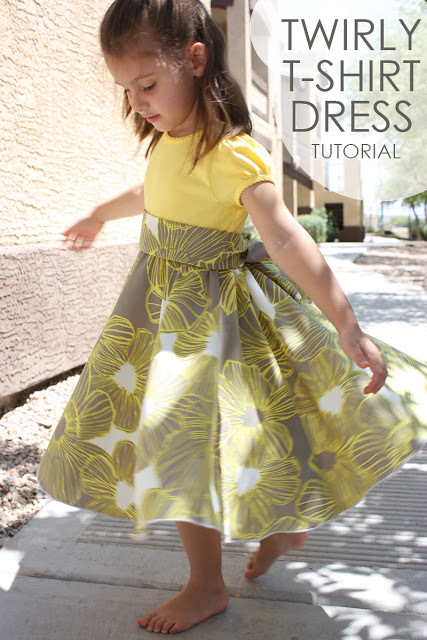 If you are looking for an easy dress project to try, this is perfect. Mom came up with this simple little flower as a possible project to teach in Haiti. They are so cute, but for some reason my boys won’t let me put one in their hair. You only need a few supplies to make one of these. You will need two cut two pieces of fabric. Next, iron a crease in each piece about 1/4 inch off center as shown. 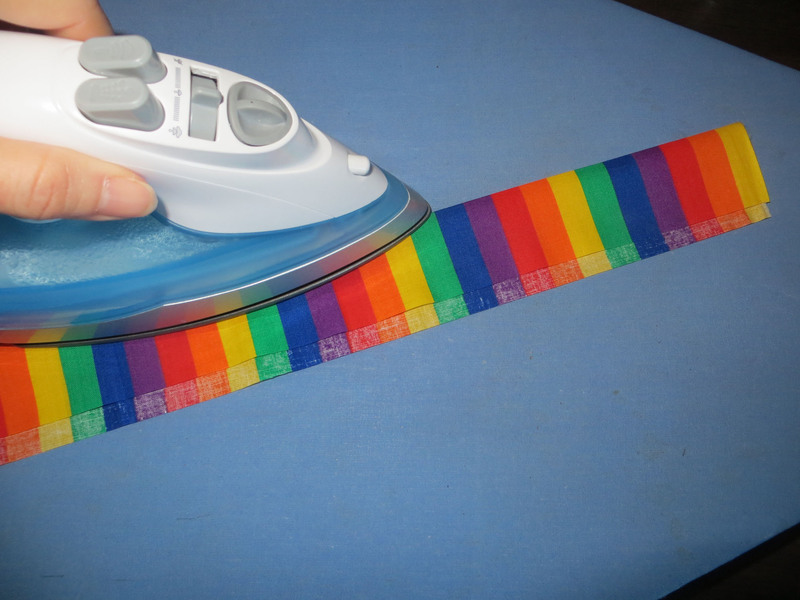 Once you have ironed both pieces, lay them one on top of the other as shown. 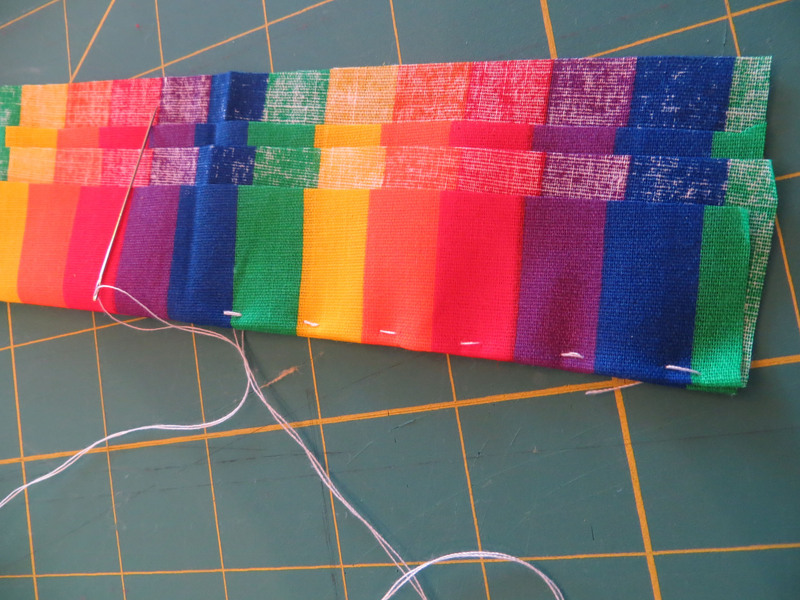 Now you are ready for a little hand stitching. 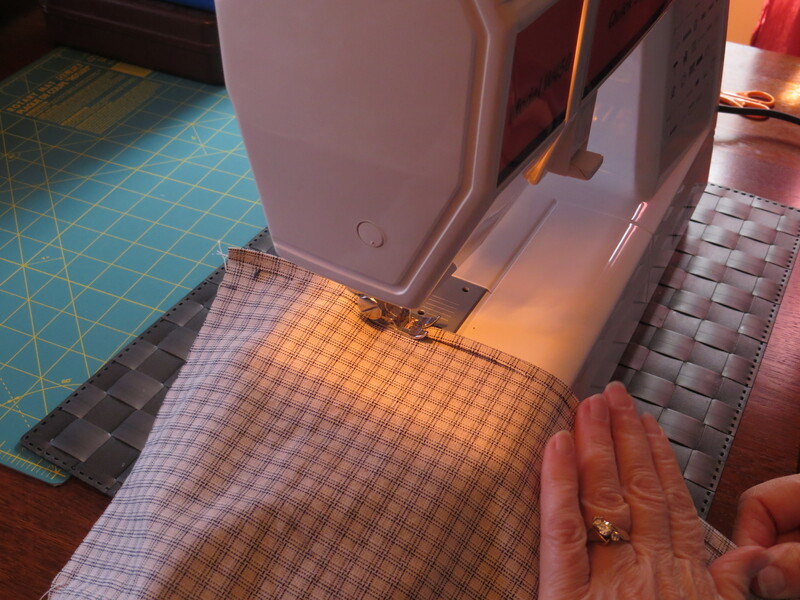 Stitch along the length of the fabric near the crease. (You will be sewing through all four layers). 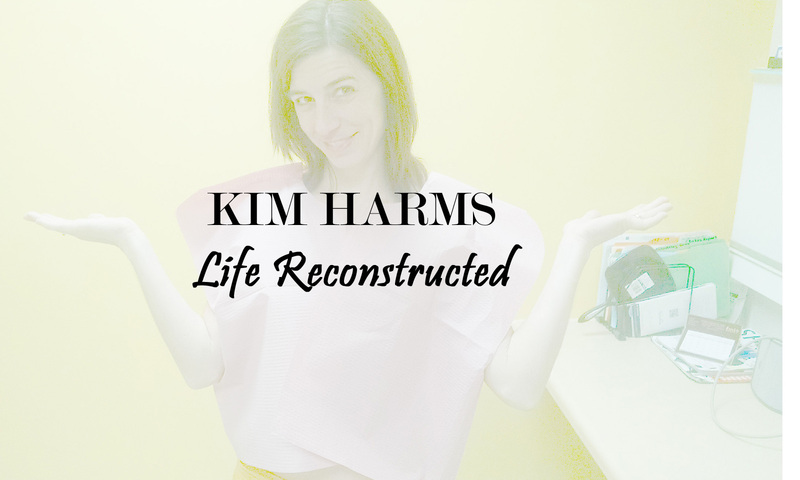 Your stitches should be about 1/2 inch apart. 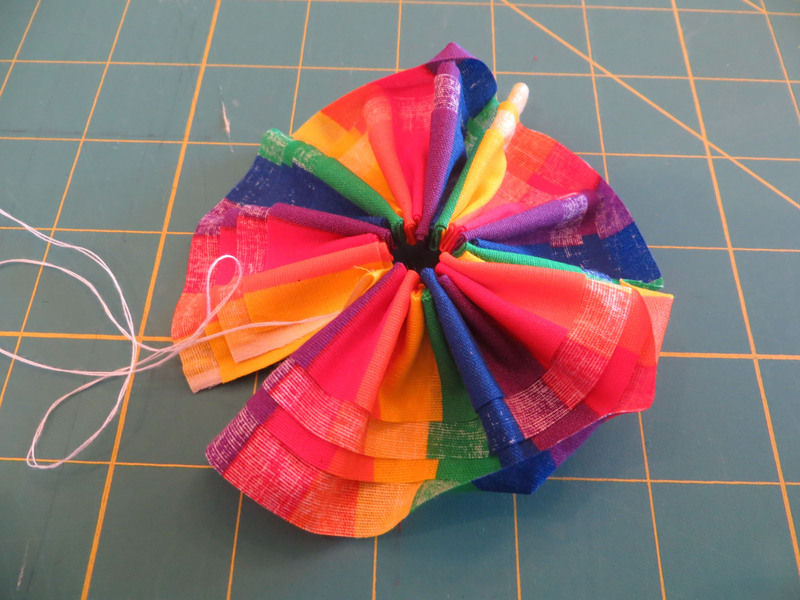 When you reach the end, pull the thread through creating a tight ruffly circle. 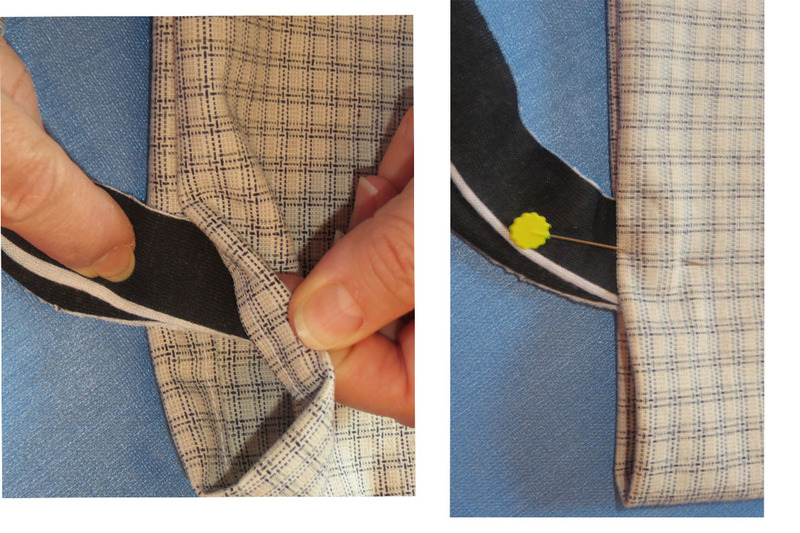 After you have pulled the fabric tight, stitch the two ends together. 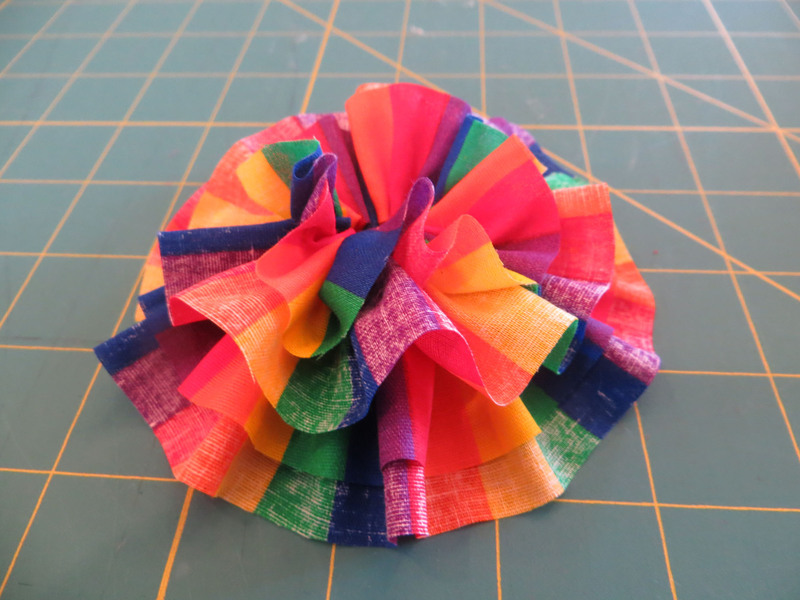 Now pull the four layers apart and you end up with an adorable fabric flower. 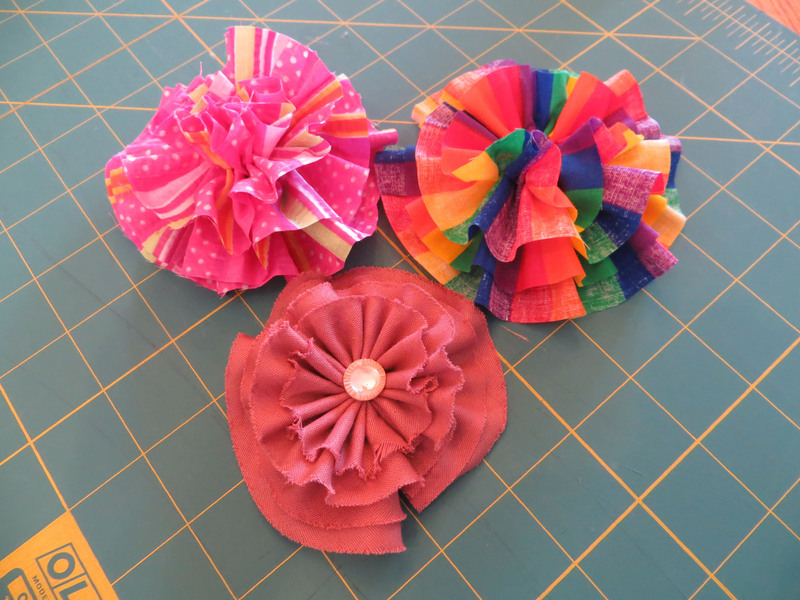 Play around with the width and/or length of the fabric pieces in the first step to create smaller or larger flowers.